Captain America: You, too, huh? Superman: Yeah, but I'll be back by the end of the movie. Clark: If what they say about voiding one's bowels when they die is true...then you'd better leave now because I've been holding it in since this morning. Since the man of Tomorrow has passed away, citizens of metropolis look to the sky for the man of the day after tomorrow. Lois: I'm not, you destroyed Starbucks, you alien #$%@! 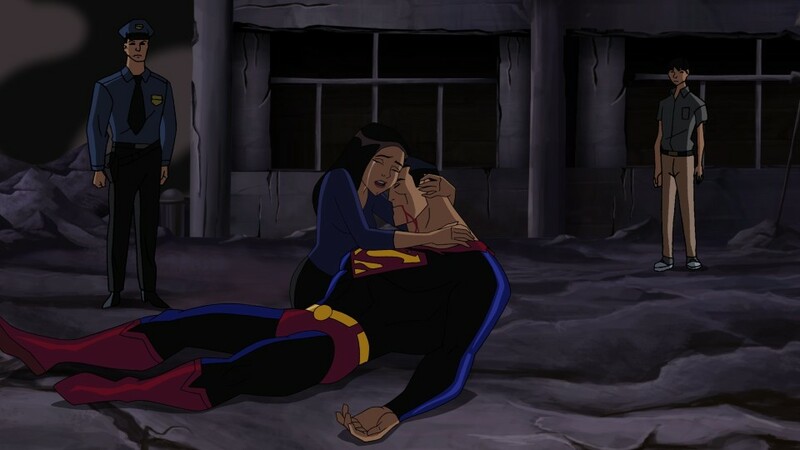 Lois: "Superman... I have something to confess..."
Lois: "I... well, to tell you the truth... I just saved a bunch of money on my car insurance by switching to Geico!" Wait, I thought this Superman would be animated. He doesn't look very animated to me. Lois: Just so you know, I've decided to leave you for Lex Luthor. Been seeing him behind your back for months. Lois: Can you read my mind? Do you know what it is that you do to me? I don't know who you are. Just a friend from another star. Here I am, like a kid out of school. Holding hands with a god. I'm a fool. Will you look at me? Quivering. Like a little girl, shivering. You can see right through me. Can you read my mind? Can you picture the things I'm thinking of? Wondering why you are... all the wonderful things you are. You can fly. You belong in the sky. You and I... could belong to each other. If you need a friend... I'm the one to fly to. If you need to be loved... here I am. Read my mind. Superman: I'm... DYING, you idiot!!!! Superman: Not sure I fought some silver naked guy and then of all of a sudden the next guy I touched, I swapped abilities with!!! Spectre: And with his last breath, Superman passed into the world of Ted Kord, Sue Dibny, and Smallville's dignity. Spectre: Ok, who keeps doing that?! ?